We all remember the season when Brumos left the racing world, but did you know that a little bit of good came out of that? That's right, Leh Keen's "The Keen Project" first kicked-off during his hiatus from motorsport when he was between teams. When the legendary Florida team discontinued their Grand Am GT program, Leh started building a backdated hot rod, and bandied about the idea of building them for other people. That car was never finished, as he was picked up as a driver again with the WeatherTech program, helping train Cooper McNeil to the point where he even raced with the team at Le Mans a few times. Once that partnership ended, Leh returned his focus to the Keen Project, but with a brand new idea. The first Safari 911. 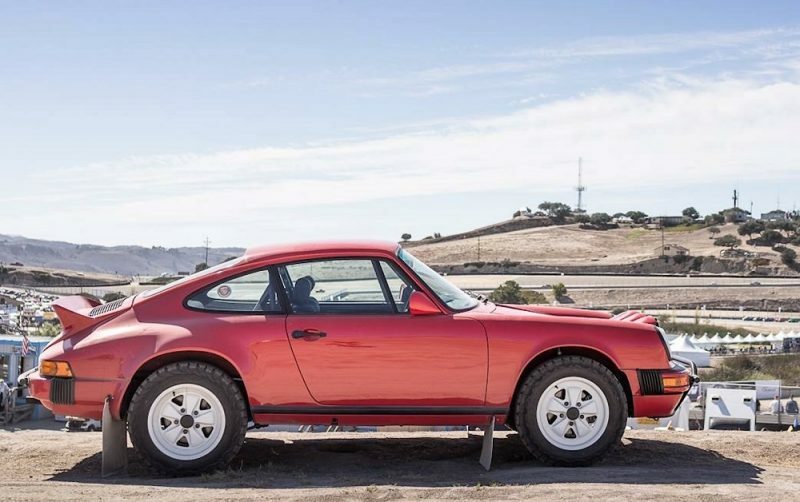 When Keen shipped Safari #1 out to Monterey Car Week a few years ago, he'd almost single-handedly created a new fad in the Porsche world. While Porsche has nearly always carried a history inextricably linked with rally racing, nobody had ever really transferred those rally principles to work with street-legal Porsches In retrospect, it makes perfect sense. You can hear the full history in Leh's own words, in this new video from VINwiki. Now that Leh has delivered eight of these special Safari cars, they're really starting to catch on. When he first built his red one, however, people went a little crazy about how he'd 'ruined' a perfectly good 911. Of course, there are now several shops building this style of car, and Leh himself has a backlog of ten cars that he still needs to build. He's hoping to get eight of those ten finished this year, and maybe get around to finishing up that backdate project, finally.